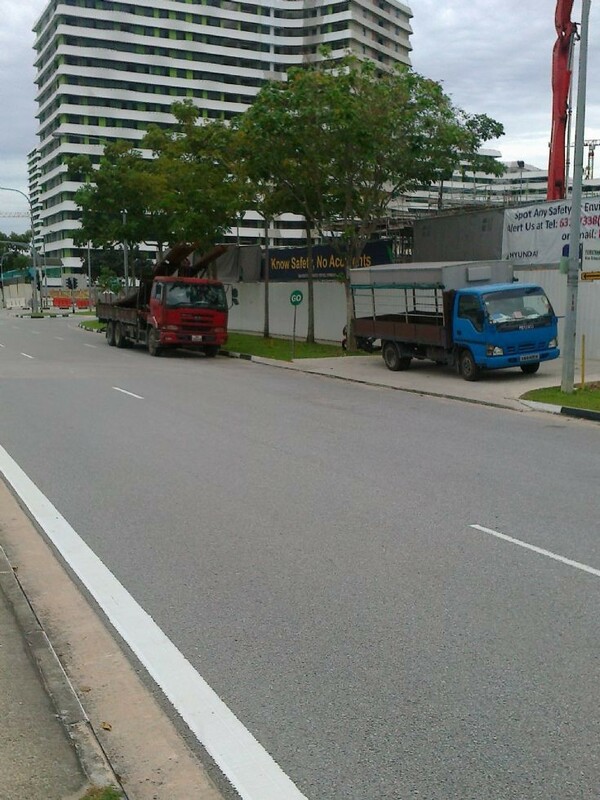 This Nissan Diesel UD lorry crane is waiting along Punggol Central to enter a construction site to deliver heavy materials. Near it is an Isuzu NPR covered lorry. Photo taken in September 2014.